A big Woof to all our furry friends and their people ! 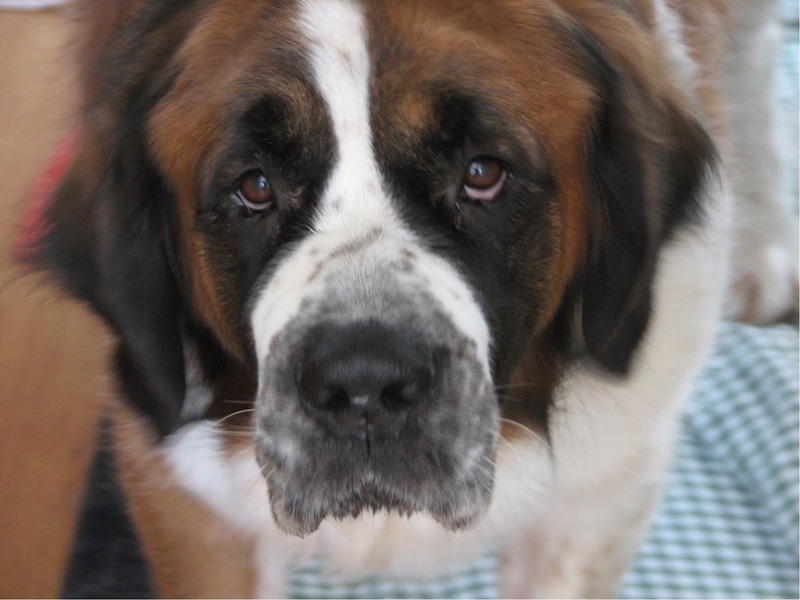 It's been a while and I need to explain why...April, 2012, we lost our Holly. She was coughing way too hard so we took her to the vet. They wanted to give her an x-ray. The results of the x-ray were fine, however, Holly never made it back t our arms...we believe they overdosed her to keep her calm...she was gone in a flash. A few days later, I wrote this and sent it along with a donation to the shelter where we found her...now, almost two years later, I can at least talk about it...So I thought I would share her story. I would like to get back to blogging about our lovable Saints, so give me a bit of time and I will start up! Here is Holly's story...I miss her so! Almost 7 years ago, I found myself wandering along the streets. A wonderful, gentle man approached me...I was shivering, but I knew he could help me. Most call him a dog catcher, I prefer "Guardian Angel". 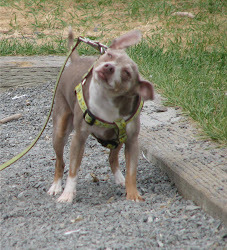 people will find you a new home"
So the folks at Linden Animal Shelter, washed, fed and walked me. They called me Ophelia (meaning, to help, aid, assist). I felt some comfort ...more than I had felt in weeks. I don’t know what happened to my original people. I remember a fire, police lights flashings and sirens...I was hiding in the bushes, fell asleep and when I woke, no one was around. That is how I ended up on the streets. I was so scared, I actually appeared to be mean. 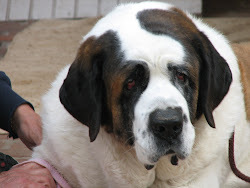 No one pays much attention to a large, mean dog...but one day, another Guardian Angel appeared at my cage. She was gentle and kind and wanted to play with me. Hesitating, I let her lead me out of my cage...slowly. She let me run in the fenced area and then she took me back. Everyday she came to play. Then one day, while we were preparing for our walk, another dog bit my face, he didn't mean to hurt me, he just wanted to be loved...I was rushed to the Vets, cared for and then my new Guardian Angel took me to her house to recuperate. I spent the next six years with her and her family. They even change my name to Holly because they called me their best Christmas present ever!!!! We loved, played, I got to sleep on their bed and we even traveled together (that’s where I met my Russian friends Auntie Marina, Mamma and Matilda). 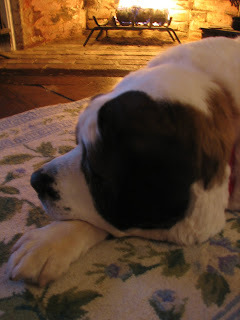 I used to have sleepovers with my St. Bernard BFF, Matilda. I loved them as if they were my very own family. 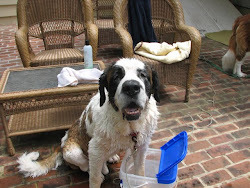 We even adopted another St Bernard, Wendell. 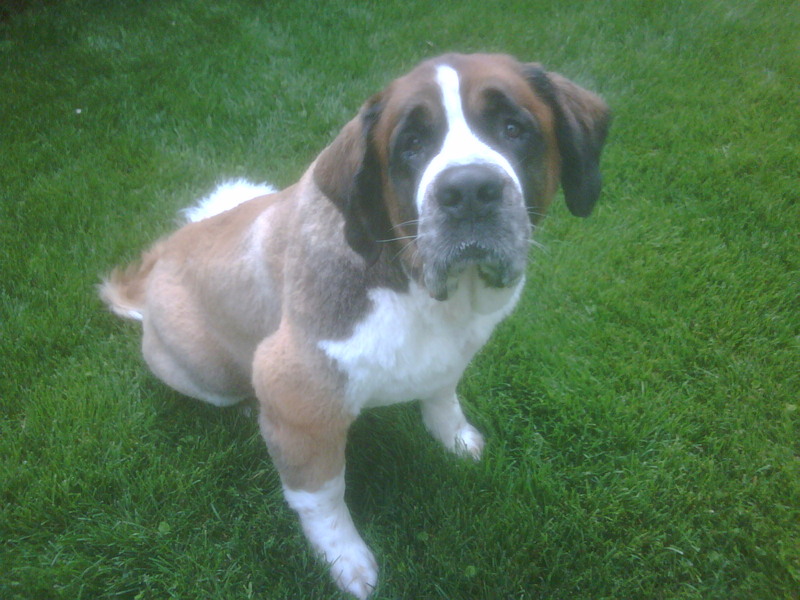 He was already 11 yrs old and had cancer, but we took him home and cared for him for over a year. It was sad when we had to let him go...we all cried. My new people loved me so much and I in turn loved them back and showered them with loyalty. I am one of the luckiest dogs, ever! Then a few weeks go I didn’t feel well and we went to visit the Dr. While there, my heart stopped and I had to leave my people...it was so sudden, so quick...I miss them so! Now I am here, at the base of the Rainbow Bridge. My friend Wendell is here, my sister Heidi, and Auntie Marina’s Matisse, as well. We are all safe and together, patiently waiting for our people to come and get us so we can cross the Rainbow Bridge together. I wanted to say thank you to the dog catcher/guardian angel as well as all the angels at the Linden Animal Shelter. If it were not for all of you, I might never have lived past the age of 3. 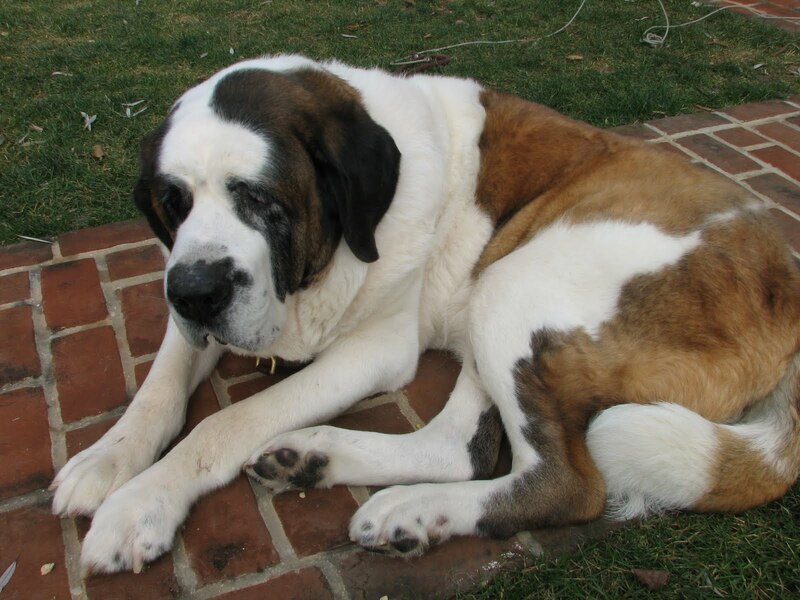 It is hard for big dogs to find new homes, but you all made it happen for me! THANK YOU!!!! We were so busy this howl-iday season, but we managed to dig up some grurr-eat places to take your people to shop and dine. 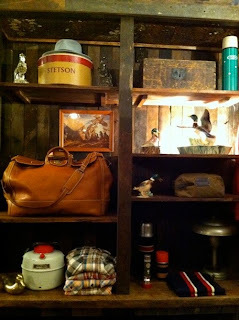 The Palmer Trading Company, in NYC is where my friend Shorty's people offer an interesting array of vintage clothing and accessories. It is a one-of-a-kind-shop and a must see! Shorty often sleeps in the window so bark as you pass by! New items come in frequently, so make this a favorite. Most of the clothing is for men, but to be honest, I like both my people in flannel shirts and over sized sweaters! Woof! A little applaws for Santa and his Reindeer this year! 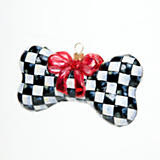 One of my favorite present was a Mackenzie-Childs Courtley Check, dog bone ornament. It sparkles on my people's tree! 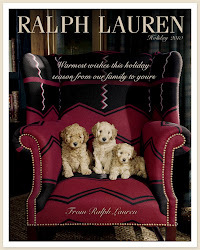 The Ralph Lauren crew sent a howl-iday wish as did Annie and Bennie, Susan Rios' pups. Oh, woof! You know who Susan Rio is! 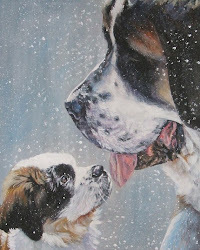 She is one of the most talented artists in the country and she loves pups! Now lets talk about the snow along the East Coast! 28 inches, nearly up to my chin! It's been fun for me to make snow angels and dig and romp, but for most people, it was tough!!!! It gave my people an extra day off from work, so we all sat by the fireplace and reminisce about our favorite snow storms. 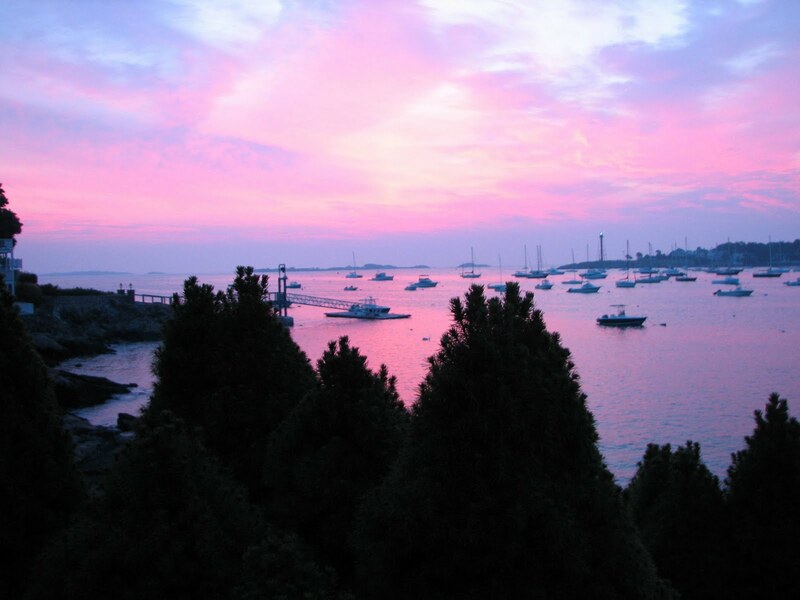 We are on our way back up to Marblehead, Ma. for New Years. I will be staying with my furry friend Matilda and her person, Marina, so be safe and I will see you next year!!! Just returned from a paws-itively fun weekend in Marblehead. Ma. 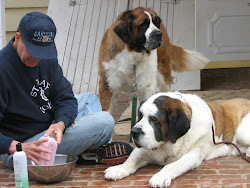 with my St. Bernard 'sister', Matilda and her people - Auntie Marina and Mamma. I love having sleepovers there, Auntie Marina treats me like a Princess!!!! Matilda and I take Auntie Marina all over town - we sniff while she smiles at everyone we meet. We walk her to Crocker Park, watch the boats go by, then we walk her to the field and play with other rescued dogs. There while 'dig up some dirt', Auntie Marina chats with other dogs' people. What fun! 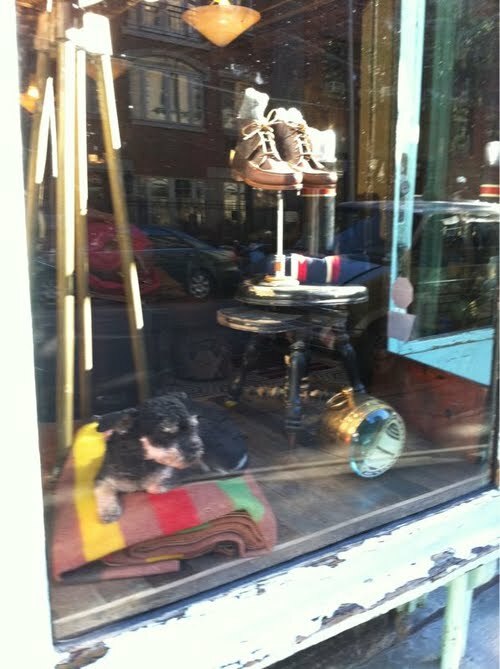 We fetched a few new things at Liberty, Henry & Me, a cute shop on State Street. Liberty and Henry are Newfoundlands and their person, Kathleen runs the shop. A lot of fun things to wag your tail about here! So sit and stay for while and see what she can dig up for you! We bought a paw towel for Matilda so when she needs to wipe her paws, her elegance has a towel to do so! Next we sniffed our way over to Pawsitively Marblehead at 9 Pleasant Street and found some howl-arious canine coasters, and dog-gone tummy-rubbing good treats for dogs and their people! While I was wandering around town with the 'girls', my people said they had dinner at Three Cod Tavern (their favorite place to dine) and more than enjoyed the Prime Rib and Lobster Stew...their corn bread makes my tail wag! They decided to stay at Notorious Annie's for the weekend and said just watching the boats go by made them happy as well! And a few hours without my slurping helps, too. Our tails were waggin' when we discovered a secondary trip to Maine was in store. 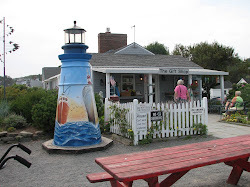 My people wanted to go to The Lobster Shack in Cape Elizabeth. The Lobster Shack is very pet friendly and is set on the rocky coast. We met up with some traveling furry friends - The Chowder twins, Scallop & Clamy (Corgis), Taco Bella, the Chihuahua and Snowflake the White German Shepherd . We had to sit and stay while my person got us some food. But it was worth it and the views of the Maine coast made me whimper with joy! All in all it was a gurr-ate trip and will return in December for the Annual Christmas Walk. Dog gone it, I had a gurr-ate time the Monday at my Spa Day. My person dropped me off on Sunday and my spa 'treat'ment began. I was a bit tired from my busy day of fetching my ball and digging in the yard, so I howled for room service and then tucked myself into bed early. Monday morning I was served breakfast in bed, had a stroll in the park and then I was ready for my day. The hair stylist trimmed and coiffed my fur, she was very well trained. Then it was time for my nail trim. Now I had a little beef about that ordeal. I tried to play the sympathy card, but no one was paying attention to my sad droopy eyes or my soft whimpering. Up I went on the table and my manicure/pedicure began...I paws-ed, let out a low woof and it was over. I cannot bark enough about how kind these people are! Next was a nice hot bath...now that is something to howl about! Lots of suds, went in my ears, between my toes and under my pads. The relaxing, hot bath made me roll over for a tummy rub! OHHHH! That feels so good! My Pink bandanna matches my Coach leather collar, so in the end...I truly felt pampered. When my person came to fetch me, I was sparkling clean and frisky as a puppy! 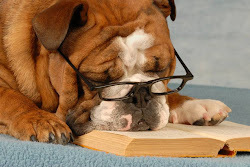 Visit my favorite pet resort & spa - click on headline and go fetch! Mr. Wendell, If You Could Talk, What Would You Tell Me Today? Let me begin, where we began, in order to help you appreciate the relationship we have. I was a stud, a pretty good one at that…the females drooled over me. My coat was shiny, my legs long, my bark was deep and my shoulders broad. I was a handsome guy! My people, the breeders, really didn’t take notice of my looks. All they cared about was how many females I could impregnate and how many championship puppies I could yield. 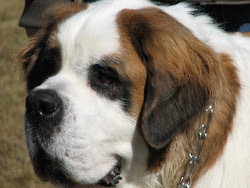 I was not allowed to wander freely, my home was a medium size pen with a locked gate, When I was young, I frequently walked over to the large barn located some 2000 paws away from the pen. The barn is where the females were housed…that was my only exercise, besides the tryst with the girls. As I aged, the visits were less often and when my bones began to ache, it became challenging for me to get around, even in my pen. When I wasn’t feeling well, my breeders called in the Vet. Carrie was her name and she had a kind touch. But her news was grave. I was diagnosed with cancer. Carrie said I should be fine for a few years, but my mating days were over. And my friend, that was the slurp of death for me. It was a beautiful sunny day when my person came to my pen and asked if I wanted to go for a ride…oh boy, I loved riding in the truck I get the entire back end to myself! My ears flop, my tongue wags and I ‘fly’ for miles while my person drives around town. With aching bones I leaped into the truck and off we drove…ahhhh the feeling of freedom, they feeling of flying! The throbbing in my bones disappeared, if only for a short while. We turned into the airport, and I thought “oh boy, we are going on a big trip – together!” To my surprise, we stopped at a run down row of shacks, just off the runway, I heard other dogs yelping, crying, and barking…I was confident we were just stopping for directions; I was convinced we were merely lost! But I was wrong. A gruff looking man with a chain in his hand came lumbering out of the shed. 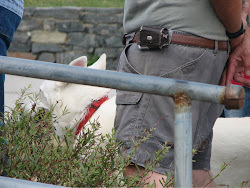 My person gave my leash to him and turned and walked away. I took a deep breath, the air was bad, and it smelled of sadness, even death. What was happening? Why was I being left here? My person never even turned to say good-by. The big man put the chain around my neck and pulled me into the shed. He pushed me into a pen that was so small I could not even stand up. Was this where I was going to spend the rest of my life? Was this where to was gong to die? I spent hours that turned into days that rolled into months dreaming of flying in the car, or even walking to the barn, those dreams helped the pain subside. What little freedom I had enjoyed was all but gone in a flash. My muscles got stiffer; the cancer crept through my bones like a hot scalpel. I couldn’t eat, and it seemed like the big burly man didn’t care. Soon he just stopped bringing me any food and very little water. The quiet was deafening. No one barked, no one howled, we all just waited …for the end. The loneliness was overwhelming. One dreary, rainy morning, I heard a car door slam and a man’s voice echoed through out the cages. He was accompanied by a police officer. I could barely make out what they were saying, but suddenly, my pen door opened and I was being lead out by this newcomer. Was I going home? Could I fly home with the windows wide open? I was weak, he had to carry me. My 175 pound body had wilted down to less than 80 pounds. My paws were raw, my mouth was dry, and when he picked me up, my head felt so heavy I could hardly hold it up. I heard him whisper, “don’t worry old boy, we will find you a home”…what? I wasn’t going home. What was happening to me? 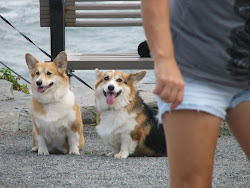 In my weakened state, I managed to give a little woof woof to my friends in the pens, not knowing if they were better off staying there or going where I was headed. I slept in the car, no flying today, my legs would not hold me up, I prayed the pain would stop and my broken heart would be mended as I dozed off to the rhythm of the motor. When I woke up, the cage I was in seemed larger, the bowl of food that stood at the end of my tail was fresh, and I could see sunlight. Still too weak to stand up, I could hear voices in the distance. “Did you hear Friskie got adopted today, and Duke went to his new home on Friday.” Days must have past, before I felt a gentle hand on my legs, slowly rubbing them, the boys voice cracked when he spoke. “Don’t worry old boy we will find you a good home.” This was the same voice I had heard at the airport. It was calm and caring, his name was Jimmy. Days later, with Jimmy’s encouragement, hand feeding and relentless courage, I managed to stand on my own. Day after day he would walk me around the ‘campus’ as we called it, cheering me on. I was tired, I ached all over, my paws were still raw. I wasn’t sure if I had it in me to even want a home. The loneliness was over powering and the expectation of finding a new home was his dream, not mine. My fight had come to an end. I was ready, or so I thought. The trees had begun turning bright orange and red, I could see from my cage, which by the way was 8 feet tall and I had become skilled at standing in my new home!!! Just not for too long or not too often. The sun was bright, the air clear and the day was young. I could tell when Jimmy was approaching because he never tied his sneakers…the slow flip flap of his shoe strings told me he was on his was to my cage. This day, the flip flap was quick, his voice was raised, and it was all happening too fast. I couldn’t make out what he was saying, but he was not alone. I was afraid of what might be happening so I closed my eyes and waited. “See, there he is, that is Wendell, the dog I was telling you about,” buzzed Jimmy. “He is so beautiful, so thin, can he stand up?” whispered a soft, tender voice. “Oh sure he can, Wendell, get up, show these people what a handsome, strong boy you are,” shrieked Jimmy. With one eye a jar, I saw her. She was beautiful. Her eyes were a blue as the sky and her smile was captivating. With her, was a younger version of herself…I deducted it could be her daughter. “Can he walk? Can we take him outside?” she asked. My stuff was weak, but I managed to pull myself up and walk outside. Once in the sunlight, I could see the two of them, yes, mother and daughter. The sun ran circles around their heads like halos. I slowly moved my tail to the left in an effort to give them a wag, but my weak muscles could not move my tail even ever so slightly. “Can I pet him, she asked. And I felt a soft breeze run across my head; it felt like a feather flowing down from heaven. She rolled her hand down my spine and softly murmured, “he is so thin, but so handsome.” Mr. Wendell, if you could talk to me, what would you tell me today?”A pathetic growl came out of my mouth, “Go away and leave me alone”, I moaned. I was so weak, I couldn’t even drool on her or raise my paw. Jimmy sensed my fear, not of her, but of disappointment. Soon after, both girls left and Jimmy and I were alone with our thoughts. The days turned into nights, I envisioned a soft bed and treats with long walks in the early morning, time to chase rabbits and just rest in the sun. But who was I kidding. I couldn’t run, or talk long walks. Who would ever want this old heap of crumpled mutt? Saturday always make me sad, families come from all over, thinking they will adopt a pet and be heroes! They walk by, stare at each and every one of us and then make comments that are uncaring and often cruel. “Look at that old thing, who would ever want him”. They would pass me by and cuddle and laugh with the puppies across the way. I was a puppy once, you know…and in my heart, I dream that I am still a puppy flopping around with nothing to worry me. My heart was pounding, was it really her? Did she come to take me home? “Listen old boy, she has come with her family and their other dog, Holly, so you have be nice, no rough housing, just be polite and maybe, just maybe you will be on your way!” counseled Jimmy. No rough housing - did he forget who he was talking to? I only dream of roughhousing!!!! We walked outside and there she was, standing in the rain with a big smile, just for me. “Hello Wendell,” she chirped, “meet Holly and John!!!!”. I waddled over, slurped on her coat and stopped in my tracks. 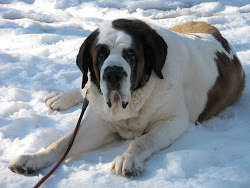 There she was, precious Holly, their rescued Saint. She was nervous and didn’t like the smell of the shelter, but then neither did I. I tried to communicate with Holly but she was too scared…must have had a bad experience in her day, too! Holly was much younger than I was, but just as misguided. We walked in various trails, tried to be kind to each other, but both of us were damaged goods, with baggage that was hard to shed. “What do you think?” questioned Jimmy. They told her I would only last a few months and to keep me fed, watered and comfortable. My paws, by now were completely raw. It hurt to stand on them. The infection had spread to all four feet. The cancer had also spread, which made me weak and unable to move quickly. The house was big, the grounds were vast and I was home at last. The first two days I slept most of the time, enjoyed a few treats and drank some water. The trip ‘home’ had taken its toll and I was sure I would be gone in a week or so. Their love for me was energizing. But the pain I felt was so deep, it made me appear to be vicious. If I had had the strength to lift my head, she would have seen in my eyes, that I was grateful, but I was just too weak. “Grrrrrr” was the only word I could muster up. She laid her body next to mine and together, we fell asleep for the afternoon. That night was a turning point for me. My strength started to return. The new medicine for my feet was beginning to heal my pads and Holly and I would share stories and fall asleep together in the quiet darkness of the nights. After a while, I was able to sit outside by myself and watch the birds and the bunnies! Oh the bunnies!!!! Occasionally I would run after them, but my gate was much slower than theirs, lucky for them I would say. My people even took me in the car so I could fly again….my head held high, my ears flopping…I was happy, I was loved and I was safe! Two months turned into five months. The holidays were fast approaching, I was doing so well, Holly and I got to go to camp for a few days. A hot bath, lots of brushing, we had our nails done, too. Holly and I slept close together, cherishing every moment of this paradise. Christmas brought the snow, and even though I was still having difficulty walking, I chased snow balls, made snow angels and thanked the heavens for good people. I even had my own stocking to hang on the fireplace and found a new collar and some treats from Santa inside. New Year’s Eve was a quiet night at home, just the four of us, just our little family. As we brought in the New Year, my mommy said to me, "Mr. Wendell, if you could talk, what would you say to me today?” I cocked my head, lowered my eyes and in my heart I said, “Happy New Year my sweet person. I am ever so grateful to you and my new family. 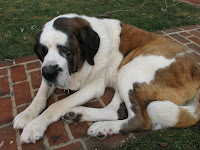 I shall never forget you.” Then I would toast to a good New Year and Holly and I would clink our milk bones together! The winter brought more snow and it was a struggle for me to navigate the ice, my walks were shorter and my outside time was just for relieving myself. 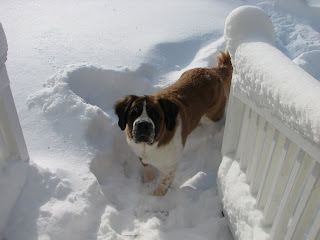 Once in a while I would sneak in a snowball or two and chomp them down!. I don’t know why things happen to nice people, but that winter my dad lost his job. And when they say timing is everything, I now know why. By the tenth month, my cancer had spread throughout my body. The pain was excruciating, the arthritis in my front legs prevented me from getting up by myself. At night I would moan until my Dad came down stairs and then he would stay with me. Eventually, he just stayed on the first floor at night and gently touched my head. If he moved I moaned, not because I hurt, I simply wanted the feel of his tender touch. I slept well and I was sure he didn’t! Holly, Dad and I spent every minute of every day and night together. My dad took me outside so I could go, I maintained my self respect by never messing in the house, If nothing else, I needed to hold on to what was left of my dignity. April brought the rain and the mud. The weather sent chills through my weary bones. For a short time, I welcomed Spring with a spring in my step. Was I in remission? It didn’t matter; there were days that I felt like a puppy, others like a dying old man. At night, along with my dad and Holly, I held on to the puppy moments and that helped me fall a sleep. The May flowers started to bloom and the aroma of lilacs in the air made me feel good. We could sit outside for hours, sleep under the sun and no one bothered the three of us. My mom worked, so when she left in the morning, we played, ate and loved each other.. Most times Holly would be inside and it would just be the two of us…the men, protecting the homestead! It was peaceful, my mommy’s arms were tightly wrapped around me when I heard her whisper, “Mr. Wendell if you could talk what would you say to me today. ?” and I slowly fell asleep. Let's give our furry friends who are currently hospitalized a soft bark and a tail-wagging smile! ...it was just a woof! Welcome to my weekly bark! It may take me a while to get started. I have found that it is very difficult to type with paws! so please bear with me, it may take a while to dig up a good way to bark on a regular basis. No bones about it, this bark is from 'a dog's point of view' Everything will be from and about me and my animal friends. Stories about their people and travels, too will be included. Anything we can dig up on gurr-eat places to chow down, movies, dog houses away from home that also take my people and more! Woof, Woof, I am excited! So please send my your comments, photos, stories and tails. And don't be surprised if you see me taking photos along the way! Woof! She will make your tail wag! Best Pet Resort - Book a room today! He loved giving us baths!!!! What would you say today? We Miss You, too! 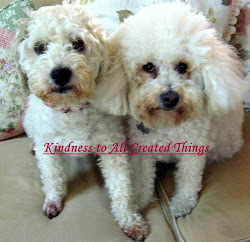 Copyright DogTailsnTreats2010. Simple theme. Powered by Blogger.